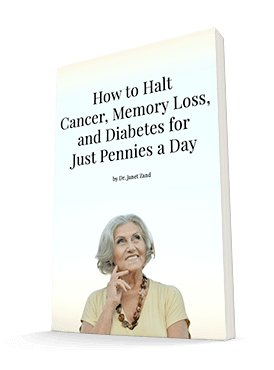 Dr. Janet Zand, O.M.D., L.Ac is a Board Certified Acupuncturist, a Doctor of Traditional Chinese Medicine, a nationally respected author, lecturer, natural health practitioner and herbal and nutraceutical products formulator who has helped thousands of people achieve better health. In! Magazine describes Dr. Zand as "Hollywood's Best Kept Health Secret" because of her "A" list clientele of movie stars, rock stars and professional athletes. With over 25 years of experience in natural medicine, she was the co-founder of McZand Herbal and the formulator of ZAND Herbal Formulas, which are sold in natural health stores throughout the country. Dr. Zand edits the monthly newsletter Women's Health Letter, one of the nation's most respected female health advisories. She also edits Women's Health Alert, a free once-a-week E-newsletter that helps women take charge of their health and feel younger, more vibrant and healthier than ever before. She formulates solution-oriented, functional supplements steeped in science and nature for Advanced Bionutritionals, a cutting edge nutraceuticals firm.